In Guatemala 80% of children are severely malnourished. They live in hunger every day. For only $10 you can feed a family. Be the reason they smile. Over 60% of youth in Thailand show signs of severe tooth decay, both lowering self confidence and increasing chances of life threatening illnesses later in life. Give one child a healthier smile for just $2 today! Children around the world desire to learn. You can give them the opportunity. Aren't you glad you can lock your door? Imagine not being able to. Hospitals have the medicine, patients just need the ride. $15 a month will ensure HIV positive outpatients a ride to and from the hospital, providing access to free and vital medication. Help us get them there. Elders are struggling in poverty daily. They need comfort, companionship, and care. new roles as a mentor, gardener, helper, or teacher. the lives of children and families in need. the miracle of making a difference by volunteering abroad. Help us reach our goal of raising $5,000 for the students of CEMIK to receive another year of learning about their heritage, gaining literacy skills, and eating a healthy meal. Every child deserves the opportunity to create a better future. We consistently have ongoing projects, which are only accomplished with your help! Give to a specific project or let us decide where it’s most needed. You choose. 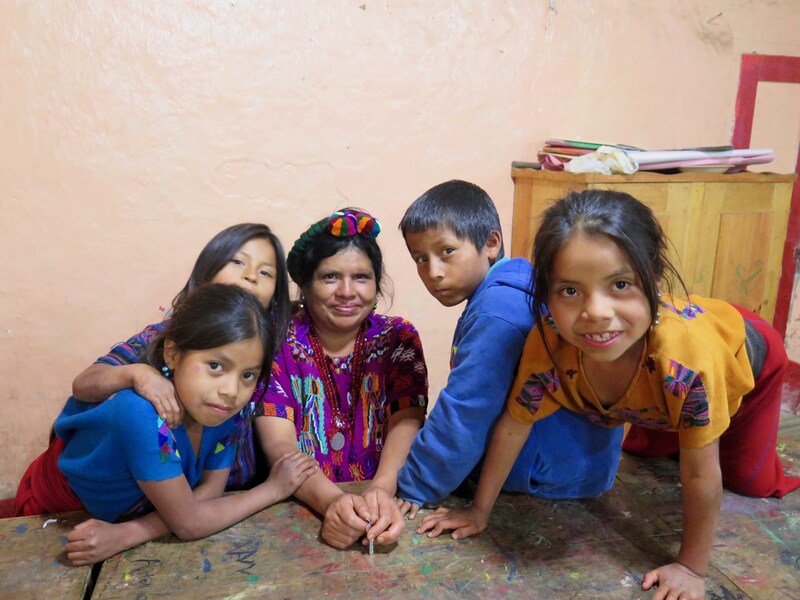 We connect directly with local leaders at our Guatemala site to determine who in the community is best suited for educational scholarships. Feed families, clothe children, renovate homes, care for elders and more while you shop! Simply shop through Amazon Smile, make Mundo Exchange Inc your charity! Find out if your employer will match your gift! Some companies do donation matching, so tell us the company you work for and we can see if ythey are willing to match your donation. Many kids have only one uniform, worn daily; it gets dirty, torn, & stained and many students feel shame. Only $50 will give a child a new uniform school shoes, & a greater sense of self pride. We are always accepting volunteers in Thailand, and would love to have you share in the experience of changing lives. Learn more about our volunteer program and be a part of something big. Mundo Exchange was incredible from start to finish. We aim to build or renovate a house for a family living in poverty each year. For only $4000USD you can build a home for a family in desperate need of a safe place to sleep at night.